As fun as it is pretty. 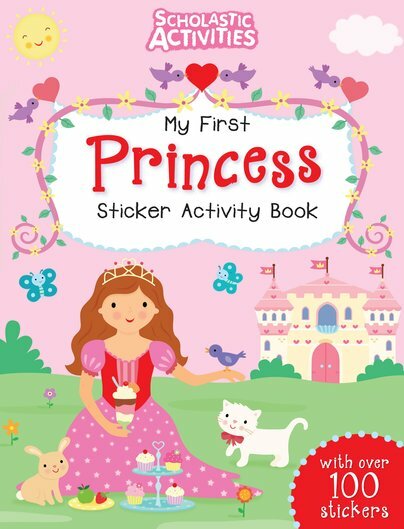 Stickers, puzzles and colouring to bring out the princess in you. Do you want to have some royal fun? Are castles, palaces, lavish balls and pretty dresses your style? If the answer is yes, this funbook has over 100 stickers and lots of princess play. It’ll make you feel as if you rule the world. Mazes, spotting games, pictures to colour in. Dolls houses to decorate. Palace kittens to find. Every little princess, especially you, deserves to be entertained.